Step 4: Create a HDFS directory for Solr. This directory will be used for all the Solr data (indexes, etc.). Step 5: Zookeeper: SolrCloud is using Zookeeper to store configurations and cluster states. It’s recommended to create a separate ZNode for Solr. The following commands can be executed on one of the Solr nodes. 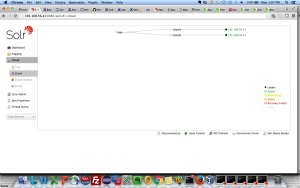 Step 7: Start solr on all the installed nodes. You will see following message for successful start. Started Solr server on port 8983 (pid=8744). Happy searching! 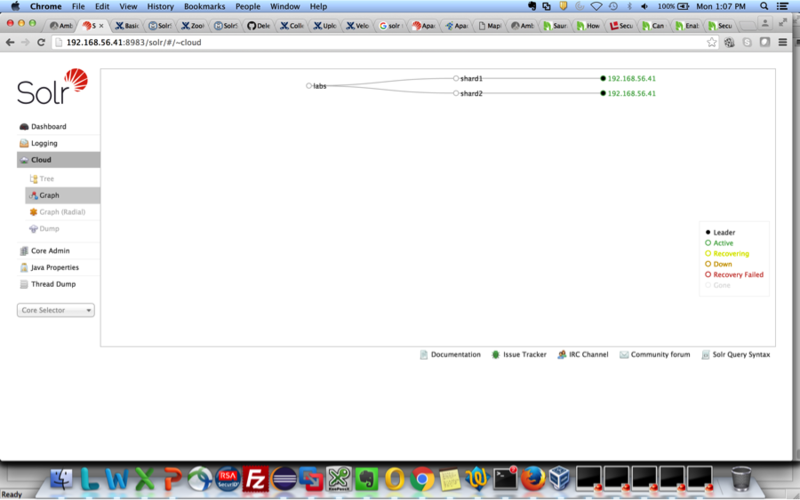 Step 8: Check solr service status on the all the nodes. Step 9: Now you can test your solr cluster by creating some sample collection and shards. Step 10. In this step you need to upload some files to hdfs if that file is not there. Step 11: Now you can create index on top of this data file in hdfs. You can verify it by running some Solr query via UI and command line.